The FBI took a look at the gunman responsible for the worst mass shooting in U.S. history but didn’t have enough impetus to take it further, lawmakers and officials said on Sunday. But in a 911 call right before the shooting—which is being investigated as domestic terrorism—that left at least 50 people dead in an Orlando, Florida, nightclub early Sunday morning, suspect Omar Mateen apparently pledged allegiance to the leader of the Islamic State, known as ISIS or ISIL, investigators told NBC News. “What I’ve heard from the Department of Homeland Security this morning is that, according to local police, he made a pledge of allegiance to ISIL,” Rep. Adam Schiff (D-Calif.), the top Democrat on the House Intelligence Committee, said on CNN. He didn’t mention the 911 call. 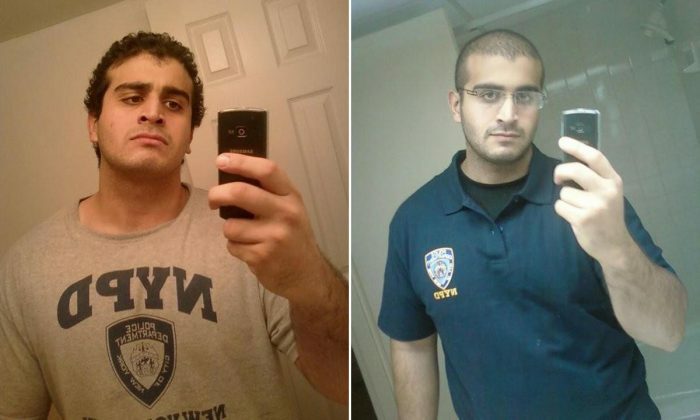 The FBI was investigating Mateen about three years ago over a statement he had made about radical Islamic propaganda. “He was subject to an FBI investigation, there was some information passed along that caused them to look at him, but it didn’t seem to rise to the level of terrorism,” Rep. Peter King (R-NY), Chairman of the House Committee on Homeland Security, told the New York Daily News. Records show Mateen was married in Port St. Lucie, Fla., in 2009, and his family told NBC that he had a 3-year-old son. “We are saying we are apologizing for the whole incident. We weren’t aware of any action he is taking. We are in shock like the whole country,” father Mir Seddique said. He said that his son wasn’t motivated by religion. According to NBC, Orange County Sheriff Jerry Demings said that the shooting “could definitely be classified as domestic terrorism.” The Florida Department of Law Enforcement Special Agent in Charge Danny Banks added that authorities are investigating whether international terror groups were involved—or if the shooter was a “lone wolf” gunman. Orlando Police Chief John Mina said Mateen allegedly exchanged gunfire with a police officer working in the Pulse club at around 2 a.m. before he went inside the club and took hostages. There were more than 300 people at the club. Mateen was shot and killed about three hours later. "Today, as Americans, we grieve the brutal murder, horrific massacre of dozens of innocent people."